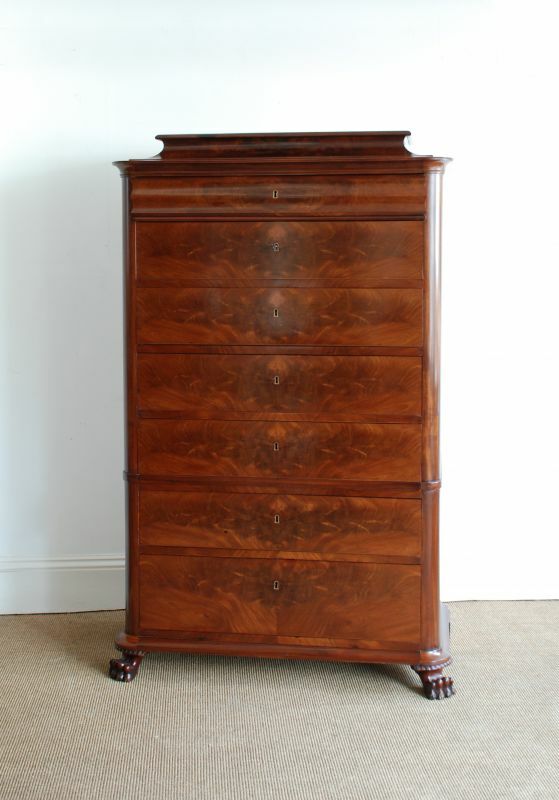 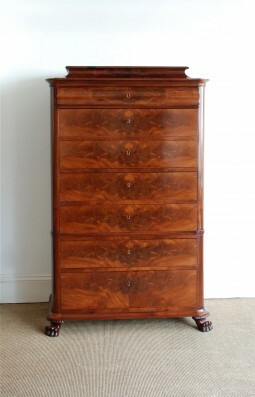 This tall chest of drawers or tallboy was made in about 1880. 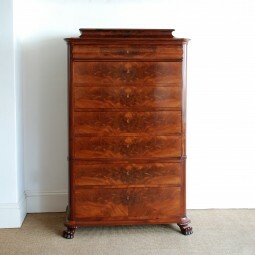 It was constructed in Scandinavia - Sweden or Denmark using striking figured mahogany. 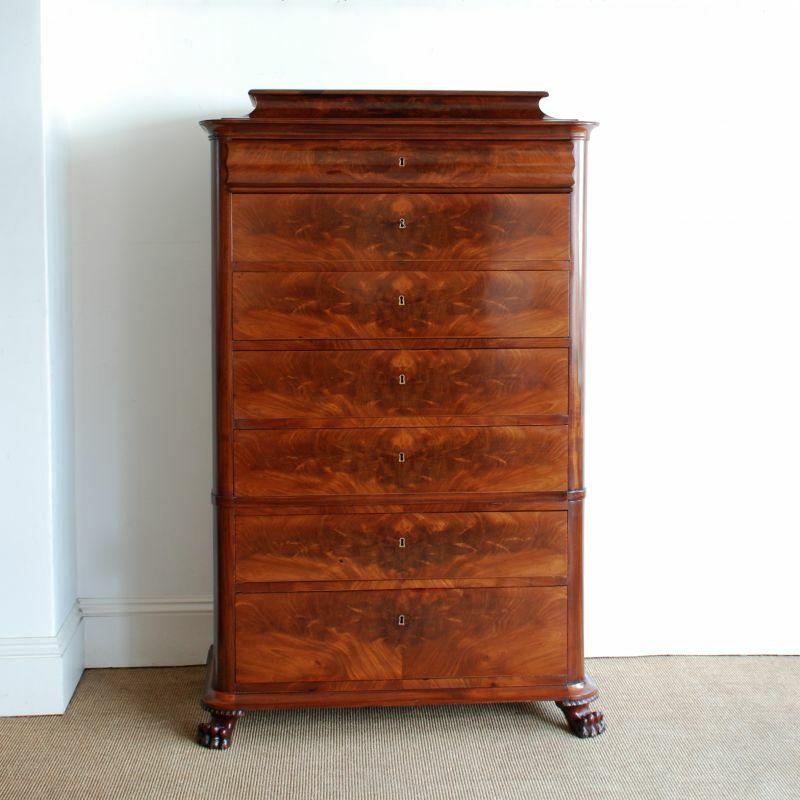 A very practical piece of furniture with plenty of storage, but also very attractive with its clean lines and uncluttered look. The chest sits on turned out lion's paw feet at the front and block feet at the back, this is quite typical for Northern European furniture. The measurements are 96 cm wide, 50 cm deep and 158 cm high.